Even though our palates may evolve as we mature, the hot dog is something we love just as much today as when we were children. It's clear many chefs feel the same way, as they experiment with creations such as a hot dog topped with creamy peanut butter and bacon. 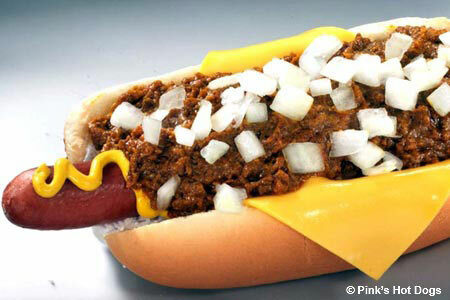 Classic chili dogs and more unusual offerings can be found on GAYOT's list of the Top 10 Hot Dogs in the U.S.
And for more tasty wieners, be sure to check out our lists of the Best Hot Dogs in Los Angeles and Best Hot Dogs in New York.